There is nothing so warming and comforting as a bowl of Chicken Soup. 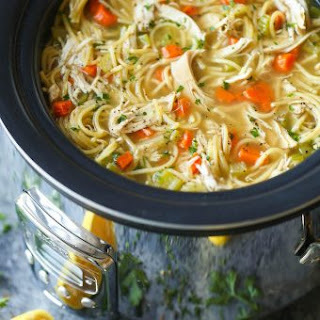 Whether you are feeling under the weather or have a busy Saturday out and about, Damn Delicious has a fantastic Chicken Soup recipe perfect for your slow cooker! Oh and the best part...it is only 15 minutes to prepare!!! For the recipe, click on the photo above.